If only battery voltage is present at the battery on a running engine, does this mean the alternator is “bad?” No, it does not. That only means that the alternator is not charging, but does not reveal why. Therefore, it does not prove a faulty ­alternator. All too often the ­alternator is condemned by ­technicians due to this test alone. For some, it’s normal to see as high as 16 volts for long periods at a time. For others, it’s ­normal to see as low as 13 volts. For some, a constant 13.6 volts is an indication of a problem. Still yet, it’s perfectly normal for others to see the alternator not charge at all intermittently. 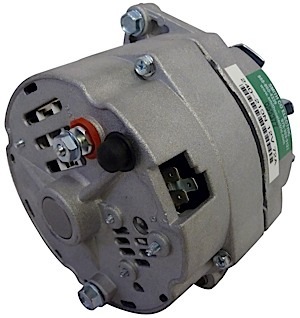 Some alternators are controlled only with an internal or external regulator. Some are controlled only by the PCM. Still yet, others are controlled by a voltage regulator and the PCM. Not knowing what controls what, and how it is supposed to function, can’t cause a ­misdiagnosis or cause a critical problem to be over looked. Take the time to look at the service information. This article will discuss another way to test your starter when compared to the previous article, and it will also show you a simple way to test your battery and alternator accurately. This procedure is extremely simple and you will only need a few special tools. This procedure will help make sure that you correctly diagnose your vehicle. If your battery on your vehicle is constantly going dead forcing you to have to jump start your vehicle, it is likely that you have an alternator that is not working correctly. 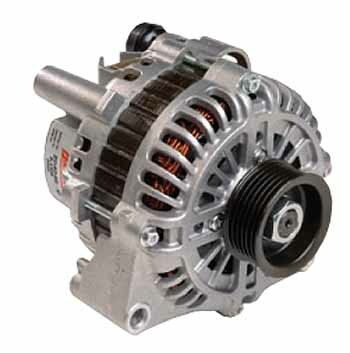 The alternator on your vehicle provides voltage to your vehicle. 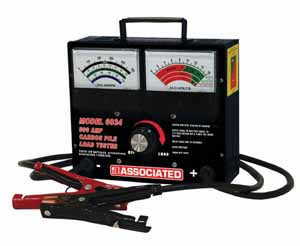 This voltage is created and used by your vehicle and the accessories in your vehicle. The alternator produces more voltage than your vehicle needs and the excess voltage is then stored in your vehicles battery. 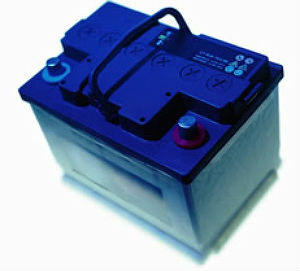 The battery will provide a supply of voltage to start the vehicle. If your alternator is not putting out as much voltage as it should be then it will not have any excess to charge your battery, thus causing you to have a dead battery when you go to start your vehicle. I suggest that you review this Basic Electronics article before you go ahead and replace your alternator. A simple test that you can do is to test the voltage at your battery with your vehicle running. You should have something greater than 13.5 DC Volts, this shows that your alternator is providing enough voltage to charge the battery. Once you have determined that you need to replace your alternator then you can move onto the next procedure that we will discuss. How should I service my car battery?